When Missoula, Mont.-based bus service, Mountain Line wanted to improve its ridership numbers and efficiency, it removed the biggest barrier to entry for riding a bus — its fare. As of January of this year, the transit system implemented a zero-fare program for all of its services, including standard, evening, paratransit, senior van and high-frequency. The move is a three-year demonstration project, funded in part by 14 community partners that Mountain Line hopes will grow ridership by 45% over the life of the project. If it proves successful, the agency will increase the number of community partners to as many as 20 and continue the fare-free system past the slated initial three-year mark. Mountain Line is a small urban transit system operating in a large rural service area. Missoula is the second-largest city in Montana with a population hovering around 70,000. Its university and resort town mix happens to comprise the two main demographics that generally attract zero-fare systems, said Bill Pfeiffer, community outreach coordinator for Mountain Line. Related: Is the future of transit free? 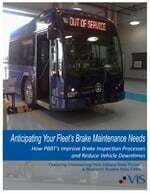 Through Fiscal Year 2013, Mountain Line’s ridership amounted to just under 900,000, Pfeiffer said. In 2014, when Bolt, a high-frequency service for its busiest bus route was added, ridership grew by about 14,000. “Barriers don’t have to be very large to discourage ridership, whether it’s frequency-of-service, amenities, or rider cost, a barrier, even if its small, is still a barrier for some people,” said Pfeiffer. When Mountain Line launched the zero-fare program, ridership for the month of January nearly reached 100,000. And, as of September, every month, except January and August, has seen ridership numbers clearing 100,000 riders. Those record months have led to a 37% growth in ridership since the transition to a zero-fare system. Nine months into the demonstration project, not only has Mountain Line nearly reached its initial goal of 45% more riders, but it’s nearly matched the level of growth that the City of Corvallis, Ore., saw during its first year of fareless service for its transit system. It is Corvallis’ success that inspired Mountain Line to try their hand at a zero-fare system, Pfeiffer said. The transit service in Corvallis has been fare-free since 2011. 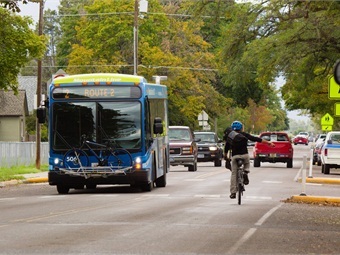 The idea of offering free bus fares originated from discussions by a local sustainability coalition on how to make the community more sustainable, explained Tim Bates, transit coordinator of the City of Corvallis. In its first year of its program, the City saw a 39% boost in ridership, said Bates. Since then, public transit ridership has stayed consistently around 1.1 million every year. So far, Mountain Line has experienced similar success. It recently surpassed one million riders for the first time in a fiscal year. Like many transit systems, fares did not make up the majority of Mountain Line’s total funding, only amounting to about $430,000 a year — most of it coming from local, state and federal funds. To gather the funds necessary to transition to a fareless system, Mountain Line reached out to 14 community organizations, many of which it had already worked with before. “That’s basically the goal we set with our community partners, to raise that amount in order to cover the cost of fares,” Pfeiffer said. The biggest contributor is the City of Missoula, accounting for nearly 25% of the $430,000. The rest is covered by the other community partners. Residents of Missoula expressed certain concerns and trepidation over making buses fare-free. They worried the city’s buses would be perpetually full of homeless, that overcrowding would become a problem or that crime rates on the bus would go up. So far, Pfeiffer said that those issues haven’t really been a problem. Crime has stayed at pretty much the same level as when it accepted fares, and while there has been an increase in homeless riders, it’s been outpaced by the total amount of choice riders that are now riding the bus. Community feedback has become mainly positive after the switch, Pfeiffer said. In addition to ridership growth, other benefits resulting from the program was an improvement in on-time performance since riders don’t need to spend time at the fare box anymore. Going fare-free also did away with any costs associated with money collection.